A no-cars street in Santiago. Here in Sacramento California, we have the "K Street Mall" like this. 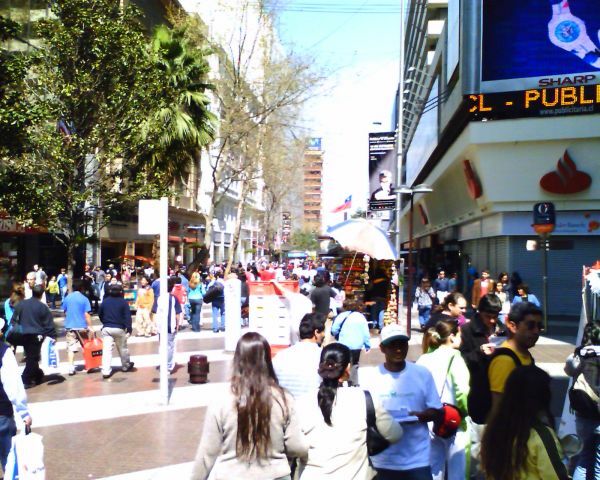 Except this street in Santiago is a lot cleaner with nicer shops. Americans (me included) think everything south of the border is... well... less somehow. After seeing Santiage though, I've got to say it can hold it's own against any American city. I was very impressed.